However, this search result will yield a Stackoverflow question that was asked 7 years ago, marked as duplicate and that has an accepted answer that recommends using split(''). While it may not be a big deal to use split('') here, the learner will immediately lose their confidence of finding the correct answer here, as the comments clearly state that they should not be using split(''). 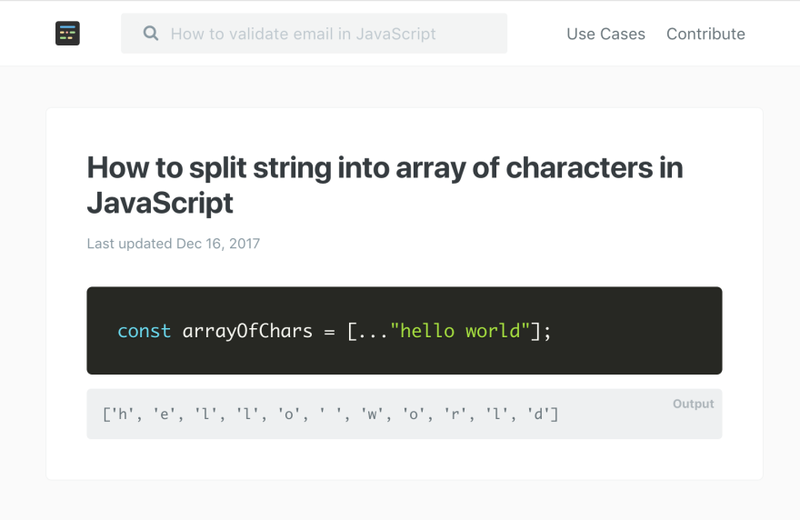 I realized that there's a gap that stackoverflow isn't able to fill, which is providing short snippets of code that are ready to be used, especially by beginners. And this is exactly what Code to go does. Answers presented on Code to go are most of the times self-sufficient. They can be understood easily and they represent generic scenarios which allows the developers to adapt those snippets to their own scenarios. 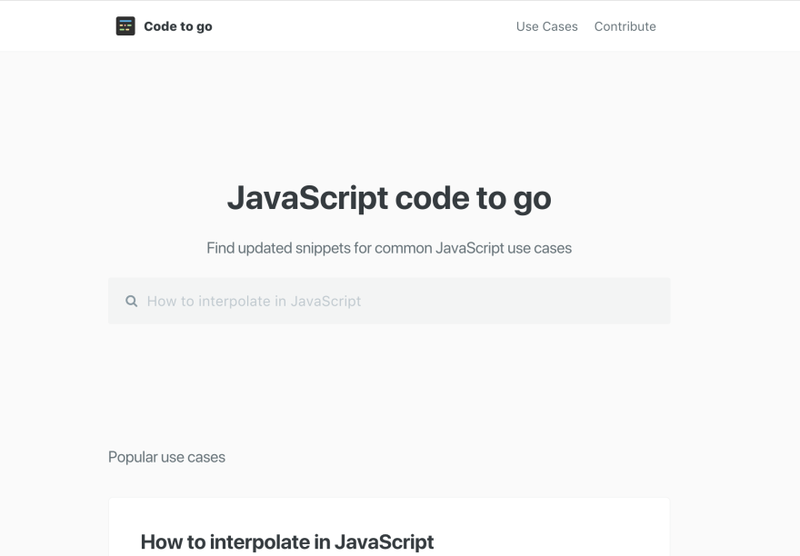 At the time of writing, Code to go has 50 use cases that you can browser or search for. We are planning on adding more, however our top priority is to maintain quality rather than quantity. You can also suggest a Use case if you couldn't find it on the website. You can simply click on the Contribute button or head over to the github repository and create a new issue. It's also important to mention that Code to go does not aim to replace documentation. Whenever possible, our answers link back to the official Mozilla Developer Network documentation like in this example below. This allows the answers to be easily absorbed by beginners while also letting them dive deeper into the documentation.